First things first: All Souls Con! We have a coupon code for All Souls Con (good until July 15th 2017). Coupon code: DISCUSSER - Passes: now $99, virtual passes: $0 (! --> thanks goes to Penguin Books for sponsoring the live stream) All early bird prices ended the 15th of June, 2017 — Virtual passes will remain absolutely free! Regular passes are now $99 - but lucky you! You have a coupon code for 20% percent off! 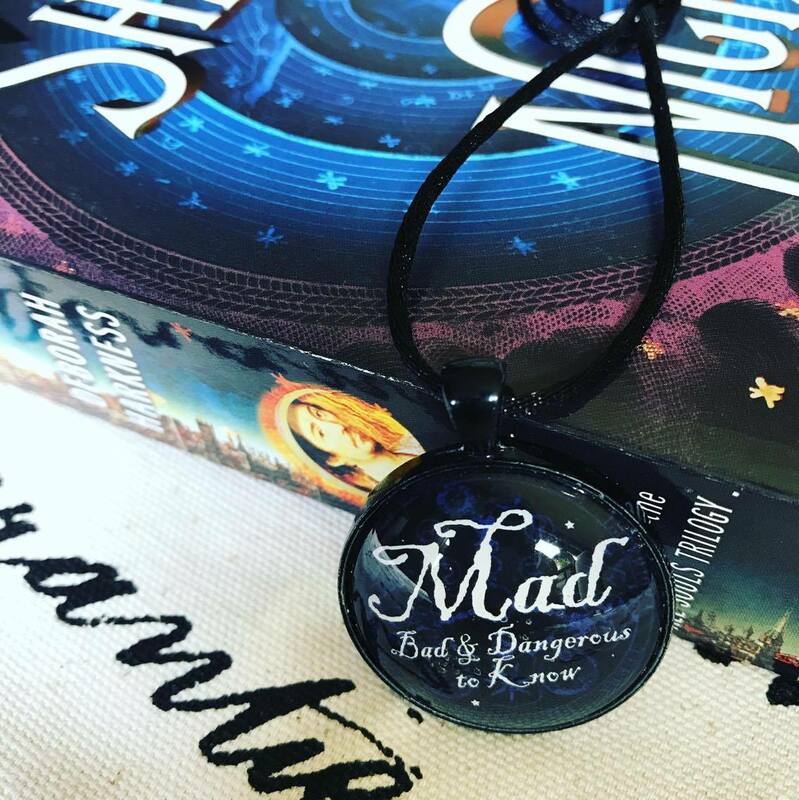 Win this pendent, and a signed copy of Shadow of Night + our T-shirt! Stunning modern day illumination by one übertalented artist, Christina! And that's what we have! Stay tuned . . . next week we'll have a new Daemons Discuss! episode: Take 18, The One Without Modern Sensibilities . . .